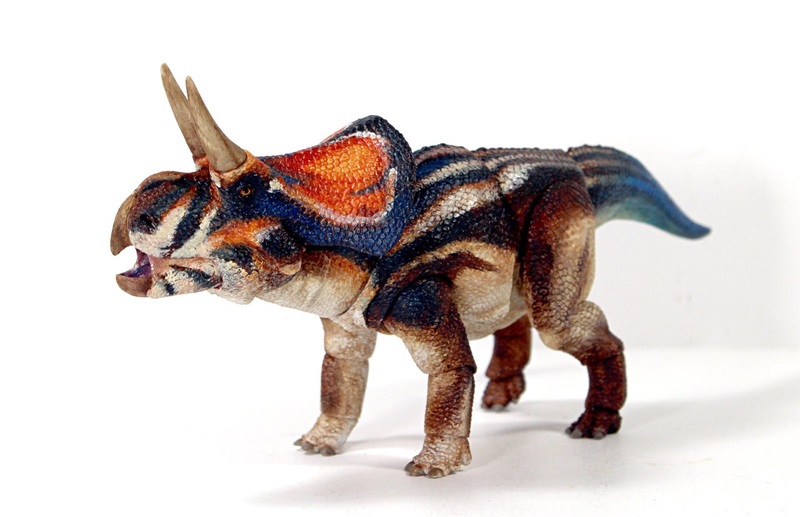 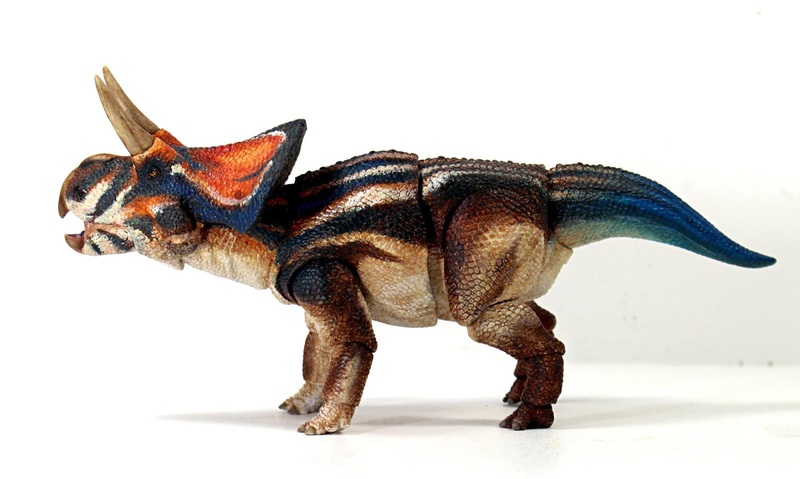 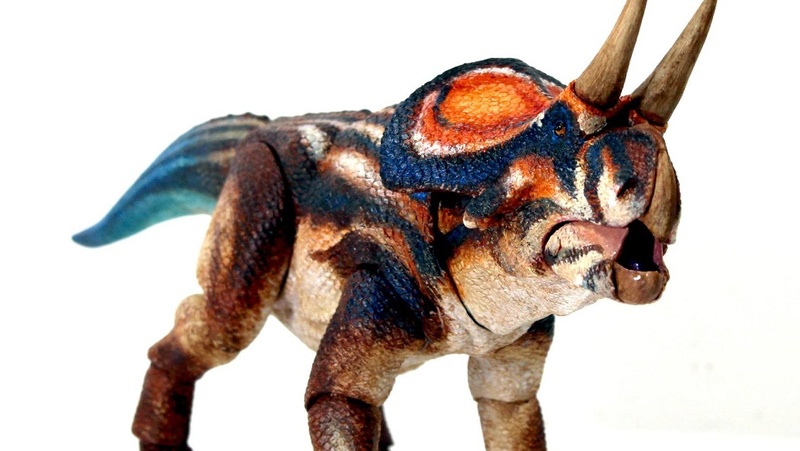 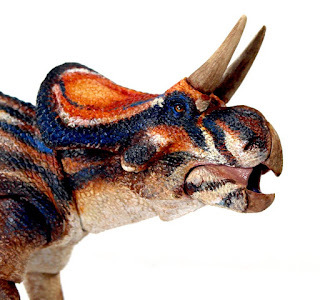 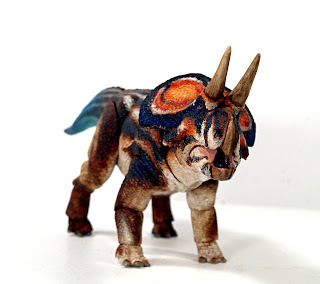 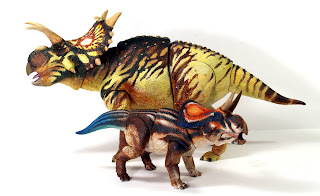 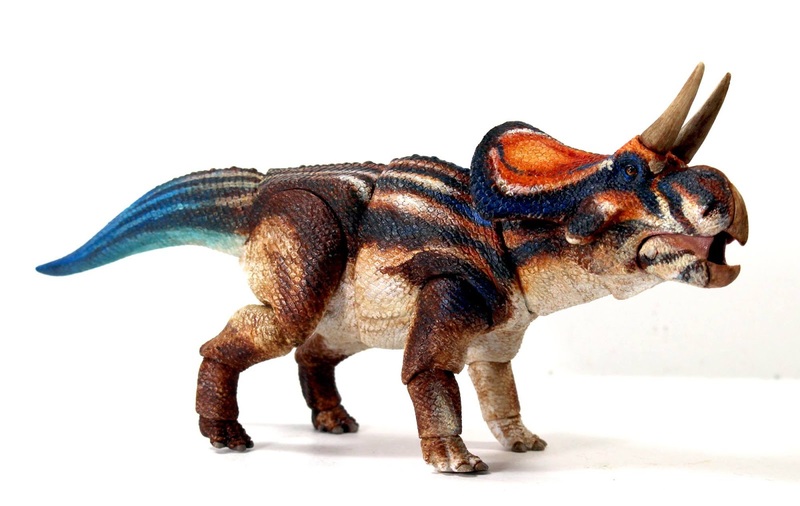 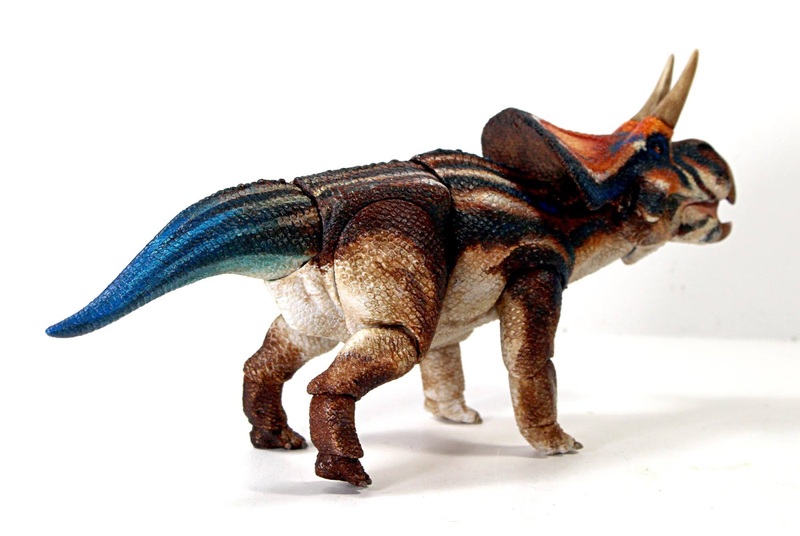 Creative Beast Studio has unveiled the next addition to their upcoming Ceratopsian series of Beasts Of The Mesozoic dinosaur figures - the Zuniceratops. 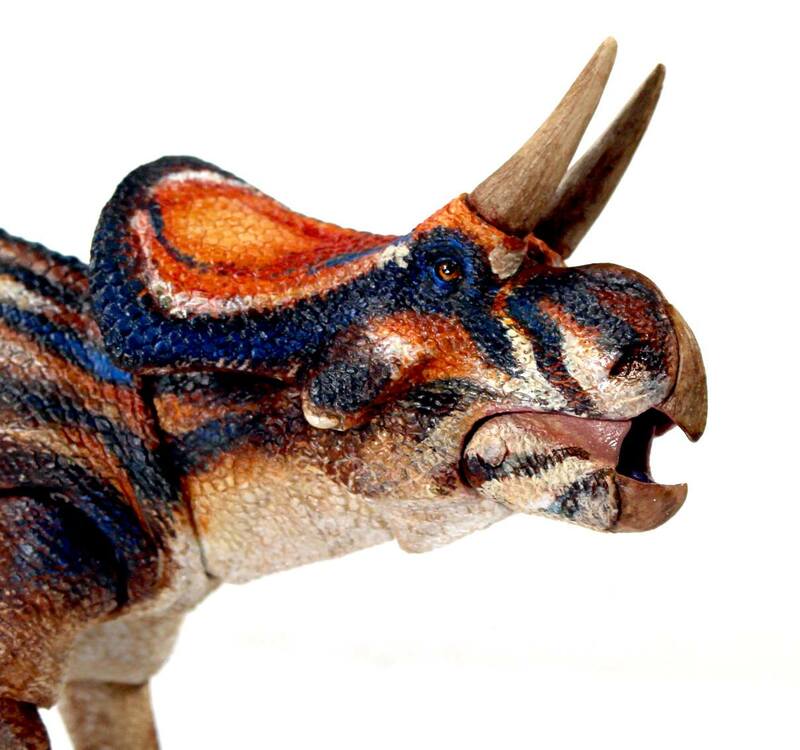 This 1/18th scale figure features a stunning paint job made up of varying shades of blue, red, browns and whites. 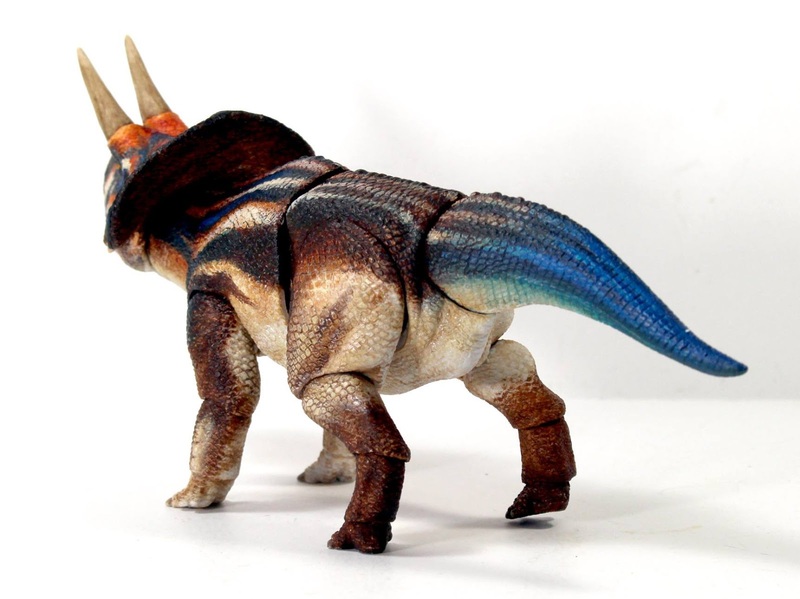 It will also feature a wide range of articulation in the head, jaws, neck, midsection, legs, knees, ankles, tail and more for a wide range of posing possibilities. 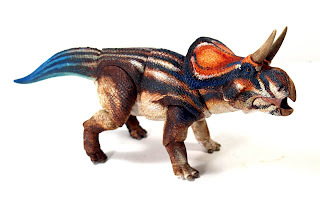 For those who don't know, the Zuniceratops lived in Mexico during the late Cretaceous. It measured around 12-ft. long and weighed about 250 lbs., making it one of the smaller members of the Ceratopsian family of dinosaurs. The skull features a a well-developed pair of brow horns, but the smaller nose horn present on most members of this species is absent. 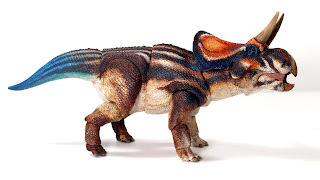 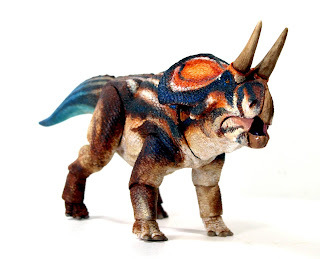 The Zuniceratops joins the previously announced Xenoceratops as part of this new wave. 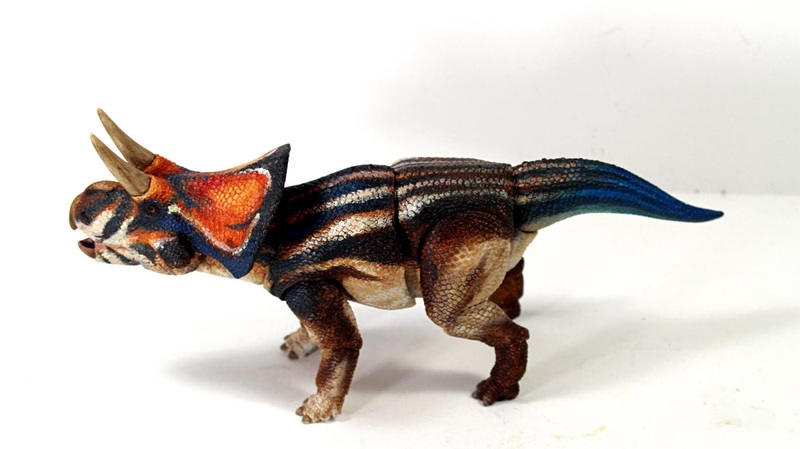 Look for more updates on this prehistoric wonder, and the next wave of Beasts Of The Mesozoic dinosaur figures, in the coming months! What do you think of this new addition?